This past weekend in Dahlonega was Gold Rush Days. If you live here, that means barricade yourself in the house until all the tourist leave… or get out of town. We chose the latter. And since this is also the beginning of pumpkin season, apple season and the beginning of what is proving to be a very colorful fall leaves display – we had to get far away. 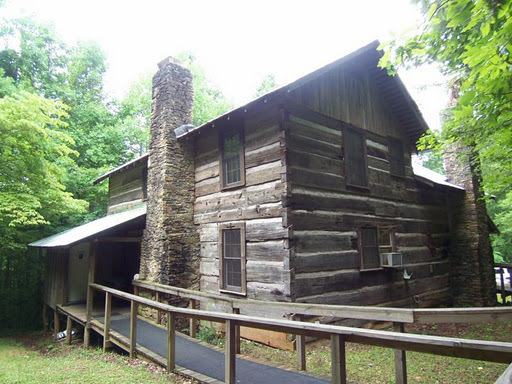 We headed farther up north to Dillard and Mountain City, past the point where a day drive from the city makes sense. 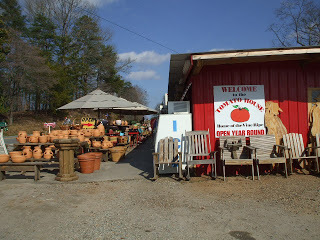 With the cool clear day, it was the perfect time to spend some time getting dusty in the bounty of antique and junque stores, have lunch at the Cupboard Cafe (they’re located on Hwy 441 in Mountain City, GA.) A great place to stop in when you want something other than corporate franchises. A large menu, great sandwiches – one of the best Reuben Sandwiches I’ve ever eaten – and a mind numbing selection of fresh house made pies. We also took a little time to indulge in poking around one of my favorite stores… Cindy’s Dragonfly – the be all to end all source for Quirky Lawn Art…. they’ve got metal goats! More than just a curb market, there you can find local honey, house brand canned goods, a heavy selection of fried pies and sweet breads… and a lot of folk-y stuff to accessorize your backyard… like an outhouse…. or a lawn jockey… As a side note – If you are coming to the mountains to get a pumpkin this year, The Tomato House has vastly increased their selection of pumpkins. They are carrying all the popular heirloom varieties and most of the large pumpkins are going for $8.00. We picked up a couple of pounds of crookneck squash this trip… I Know! crookneck squash this late in the season… I couldn’t believe my eyes. It’s amazing how finding something typically a summer crop this late in the season makes you feel almost like your cheating. I was happy all the way home. 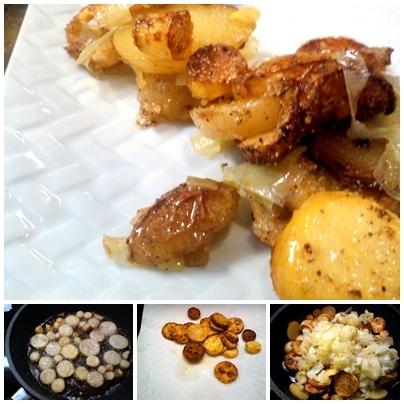 I had to make one of our family’s favorite ways to do squash… Skillet Squash with Potatoes and Onions. 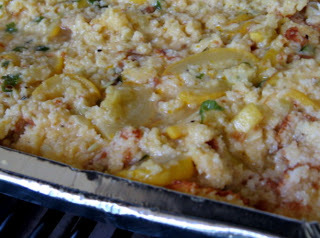 Pour the mixture into a lightly oiled baking dish and bake at 375 for 25 minutes. the squash dressing sounds perfect! buzzed! This skillet dish sounds really great. The corn meal coating surely gives an additional nice flavor. Thanks for sharing.